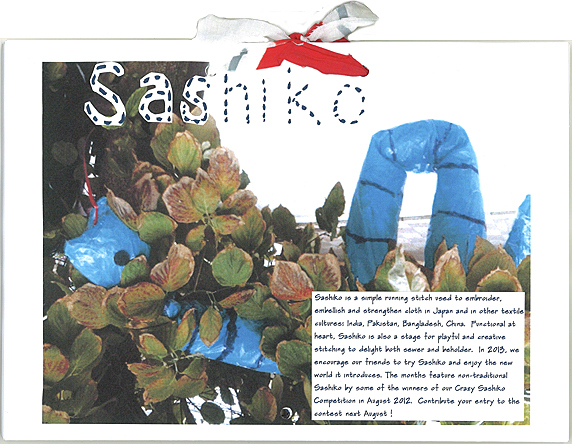 The Blue & White New Year Begins on a colorful note with our first full color version on Sashiko in all its permutations, except perhaps, traditional. 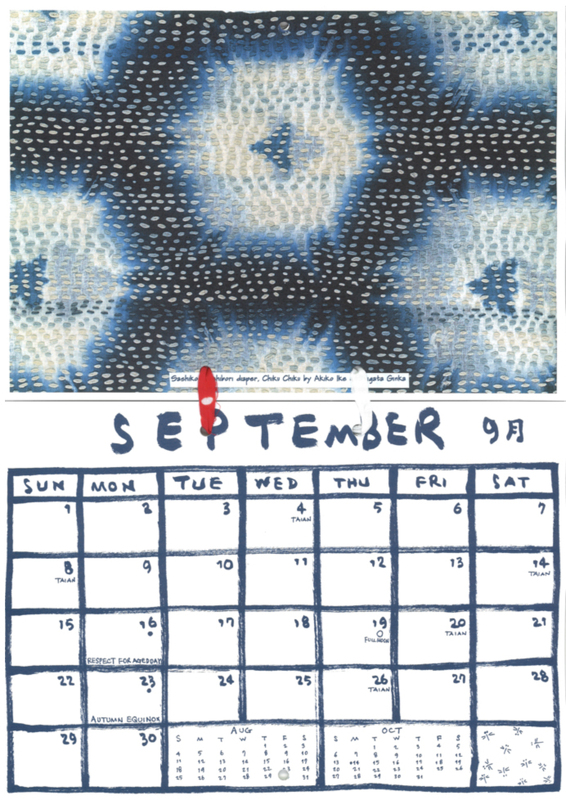 Starting with Sayoko Hayasawa’s prize winning portrait of the inner workings of her mind and Tuan’s, her black dog, and winding up with Reiko Inaba’s spiral of stripped kimono sewn through mosquito netting, these sashiko samplers are the results of a Crazy Sashiko competition we held during the summer and the works of our own Blue & White Stars. 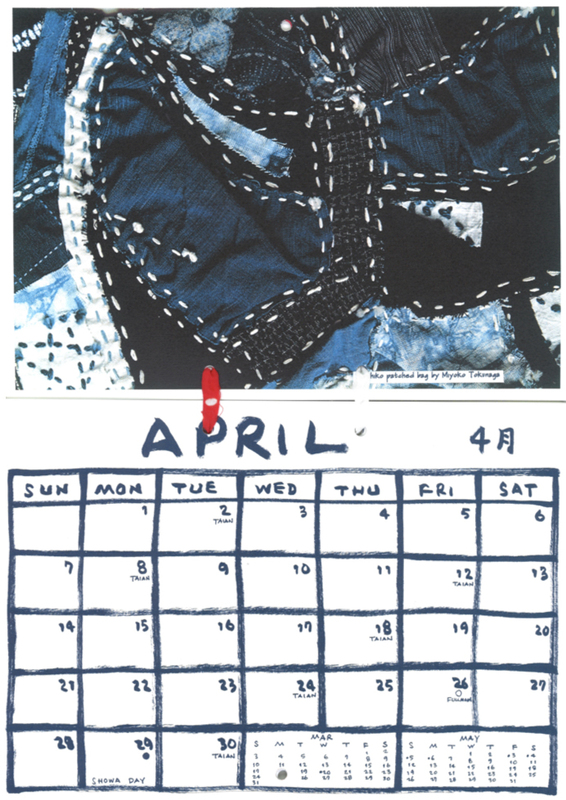 The calendar is filled with new ideas and fun and surprises. 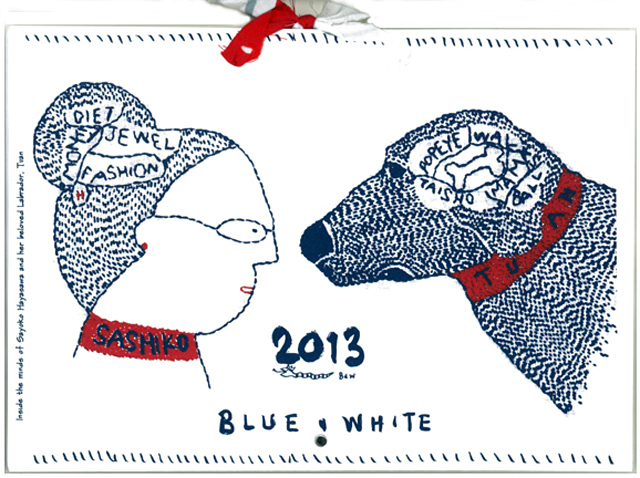 Have a look and if you like it, just email to order: blueandwhitejapan@gmail.com. 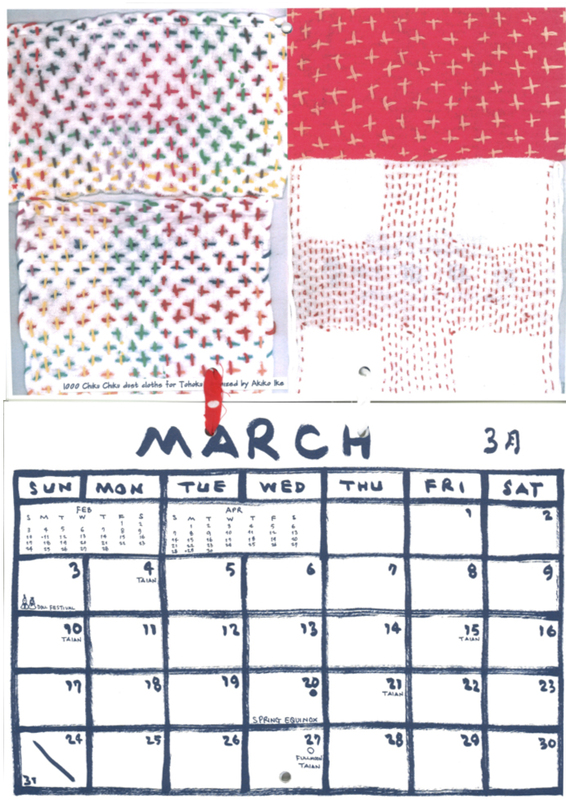 On thick recyclable paper, ¥2,100 each, ¥2,300 with reusable tenugui bag plus postage. 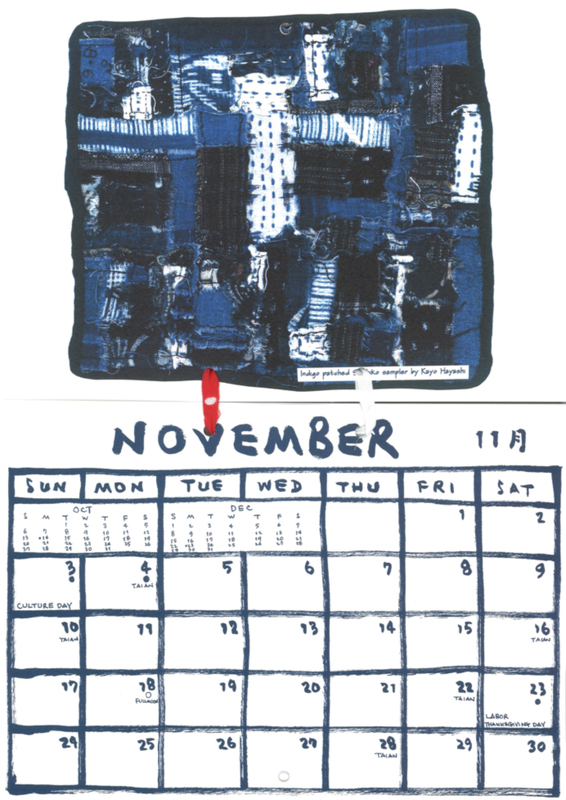 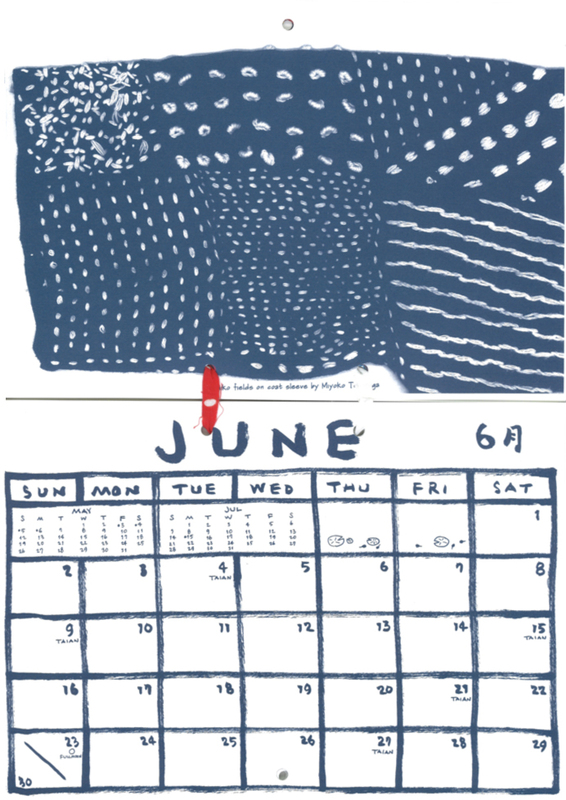 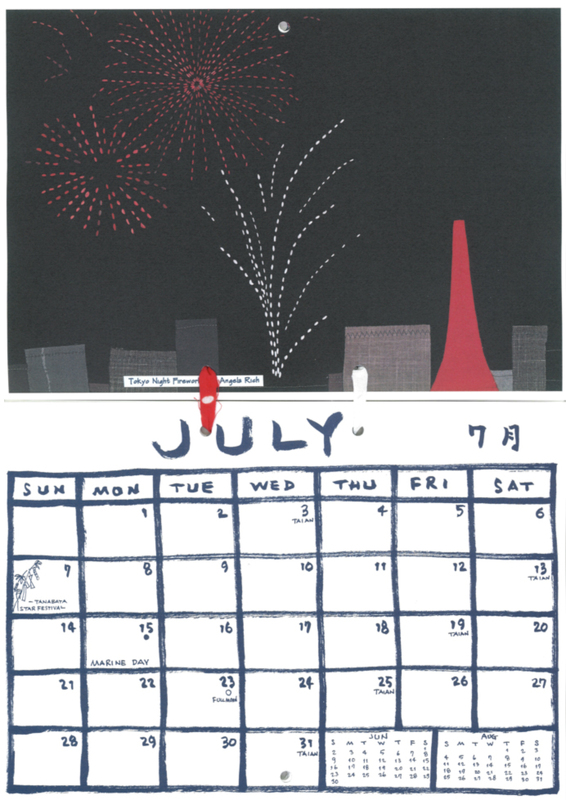 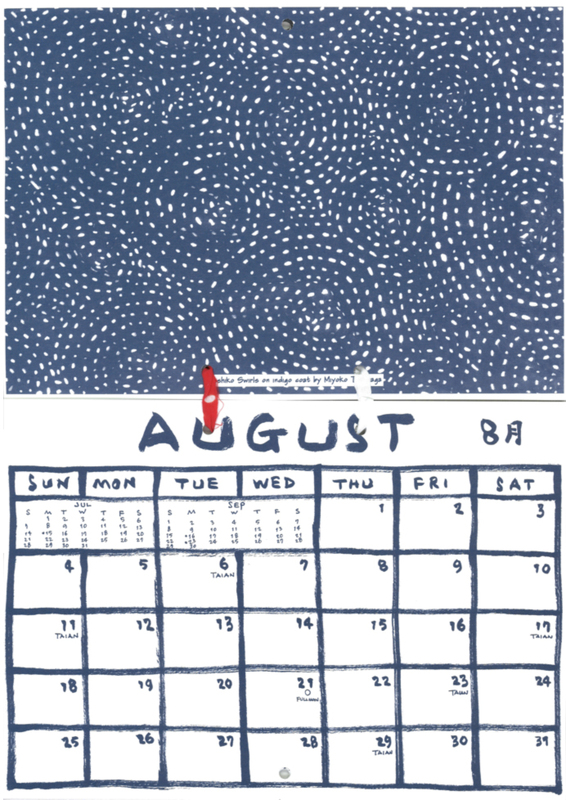 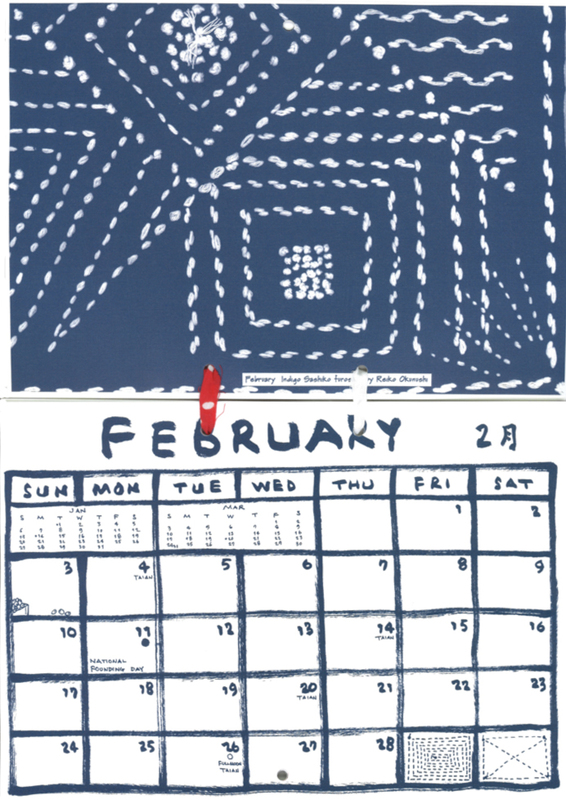 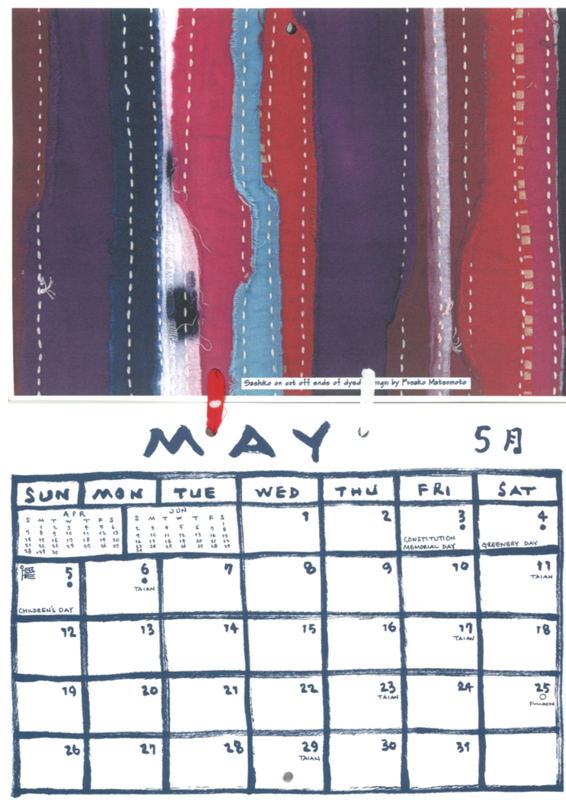 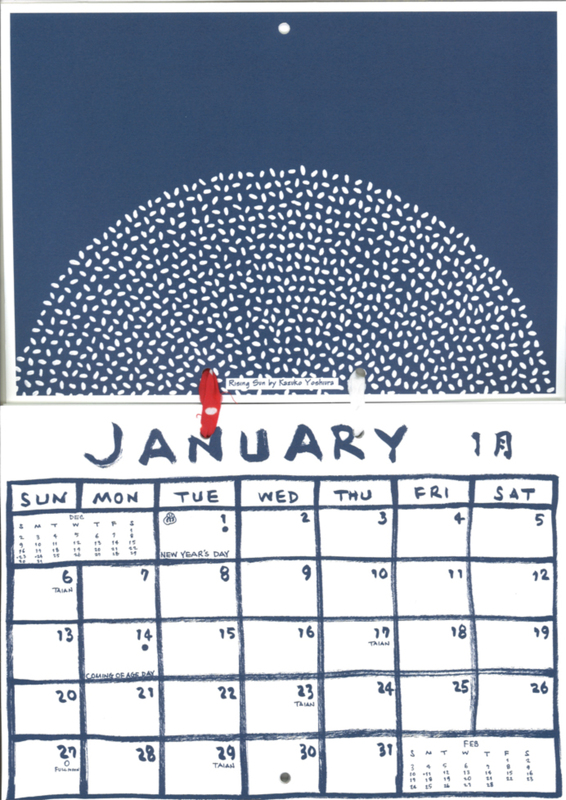 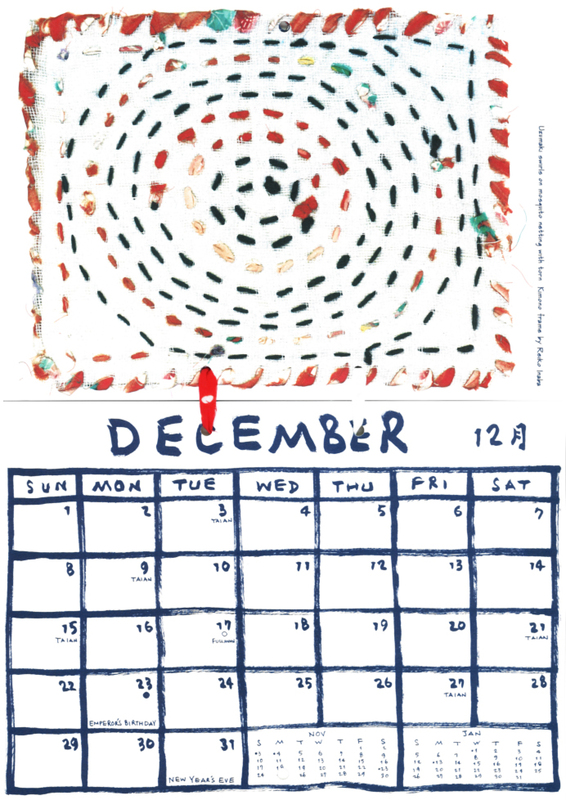 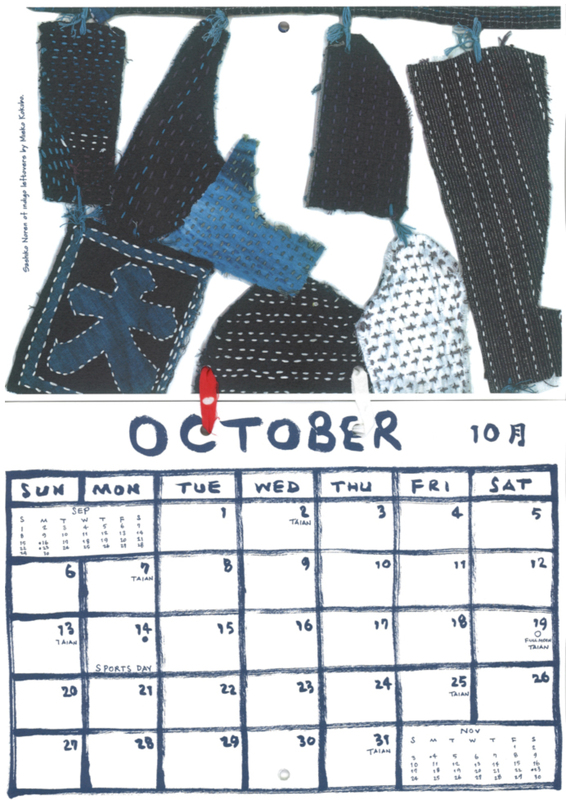 The calendar is sure to bring you joy and laughter and Sashiko in 2013!